April is recognized as Autism Awareness Month. and Monday, April 2nd has been officially designated as Autism Awareness Day. In my blog posts this month, I’d like to call attention to a critical need that has been greatly overlooked in the North American church. We need churches committed to welcoming children, teens and adults on the autism spectrum of typical to high intelligence and affording them opportunities for using their considerable gifts and talents to advance the mission of the church. Nearly half of the one in 68 children and teens identified with autism spectrum disorders have measured intelligence in the normal to high range (IQ >85), according to the U.S. Centers for Disease Control. What gets in the away of them being part of the church? The challenges they experience are quite similar to those common among persons with a primary mental health disability. We have lots of outstanding ministry models for persons on the autism spectrum with intellectual disabilities, but far less in the way of resources for those with more subtle disabilities. We know that persons on the high end of the autism spectrum are at substantially greater risk of experiencing one or more mental health conditions compared to the general population. One study of adolescents reported a prevalence of comorbid psychiatric disorders of 74%. A recent study examining psychiatric comorbidity in young adults reported 70% had experienced at least one episode of major depression, 50% had experienced recurrent depressive episodes, and 50% met criteria for an anxiety disorder. In general, children and teens on the high end of the autism spectrum are more likely to have issues with ADHD and anxiety, while depression and anxiety are more common among adults. Anxiety: A core difference in brain functioning in persons with anxiety involves their propensity to overestimate the risk of entering new or unfamiliar situations. Consider the discomfort someone with anxiety might face in visiting a church for the first time. For many on the high end of the autism spectrum, such anxiety is compounded by the real challenges they’re likely to experience in accurately interpreting the reactions they elicit from others. Planning, organizing, and/or sequencing thoughts and maintaining attention. The appearance of being stubborn because of difficulty “shifting gears” when a change of plans or activity occurs. Difficulty controlling impulses or regulating behavior when they are upset or frustrated. Sensory processing: The most current research indicates that 69-93% of children with autism experience symptoms related to sensory processing, and the sensory processing differences seen in association with autism tend to persist over time. The level of ambient noise and presence of multiple conversations in close proximity, along with the bright lights and loud music common to many worship worship services may result in great discomfort for kids and adults with autism. Social communication: Churches are intensely social places. Consider the extent to which someone with a condition impacting the ability to process non-verbal communication – body language, facial expression, tone and inflection of voice is disadvantaged in a typical church! How might the people of your church respond to someone who doesn’t follow social convention regarding appearance or dress, or struggles to follow common rules of social behavior, such as knowing when to speak or how to take turns while speaking? What challenges might they encounter if they’re expected to attend a Bible study or small group with unfamiliar people in an unfamiliar place? Social isolation: The well-known pastor, speaker and author Carey Nieuwhof speculates that in the near future, personal invitations will be about the only way that non-Christians will show up at Christian churches. Where does that leave people with a condition in which one of the two core features is the need for support with social interaction? When I think of my patients on the high end of the spectrum, their greatest source of distress is the loneliness and pain resulting from not being desired as a friend. I’d like to conclude by encouraging you to check out this anonymous blog post from a young adult in college describing her experiences in looking for a church in which she would feel accepted and welcomed. I do not even know how to approach joining a church now since it is so evident that no one at my old church in my old city wants anything to do with me. For all the talk on forgiveness, I am apparently too eccentric and egocentric to be forgiven and to be accepted. Moreover, if not even loving Christians can put up with me, the rest of the world seems scary. I once volunteered at a Christian youth centre, but I was told I had to leave after a few days for being too clumsy. I applied to several Christian schools, but I have found them to be the least accepting of my disabilities. I have this vision that if I ever get married, it will be an empty church. 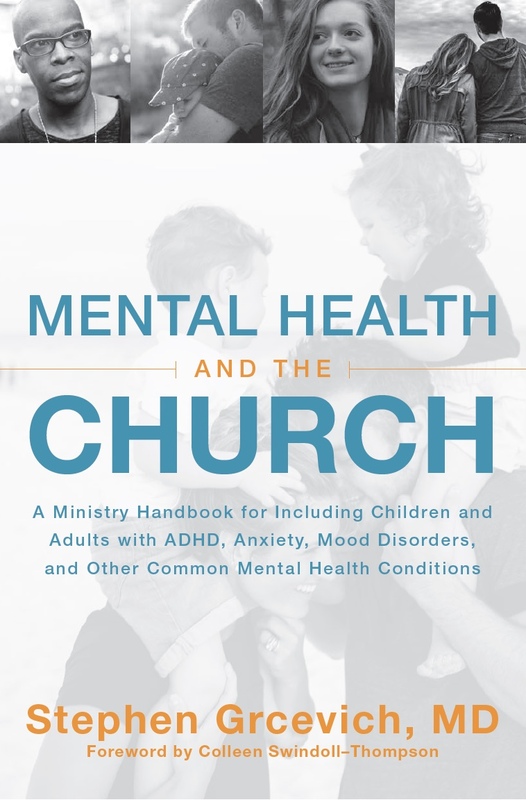 Interested in additional ministry resources on supporting persons with autism at church? Click here for a menu of resources we shared on Autism Awareness Day 2017. Please consider joining us at Bay Presbyterian Church in suburban Cleveland on April 20-21st, 2018 for Inclusion Fusion Live. This two day disability ministry conference features 25 speakers and 40 presentations, including all-day intensives on autism, mental health inclusion and respite ministry, praise and worship during the Friday night and Saturday sessions and program tracks for church leaders and families. Ministry intensives are offered for a modest fee that includes meals and support materials. Friday night and Saturday sessions are provided free of charge to pastors, church staff members and families, but registration is required. Hope to see you in Cleveland for Inclusion Fusion Live! 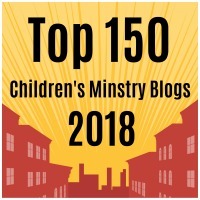 This entry was posted in Autism, Key Ministry, Mental Health and tagged Autism, barriers, church, high functioning autism, Inclusion, Key Ministry, mental health and the church, Stephen Grcevich MD. Bookmark the permalink.